Home > News > [Watch] How New Vegans Are Being Born In One Of The Most Meat-Centric Regions Of The World! [Watch] How New Vegans Are Being Born In One Of The Most Meat-Centric Regions Of The World! This is what a reader of ours wrote back to us recently, and indeed the region is known for its rigidness and traditionalism. Yet, our first Vegan Movie Screening And Food Sampling proved otherwise! The event took days and hours of planning, preparation, and strategic thinking. I knew that I had to get to the hearts of people in order to pass onto them a vital message that would most certainly have a ripple effect! My vision was to create a home-like environment for them, where I can easily win their trust with delicious food and an honest approach. First was the venue. We picked a popular location, known for the innovative, forward-thinking events organized in it, yet with a cozy, warm environment everyone craves to experience. This certainly paid off! We filled up the seats for the event rather quickly and we currently have a big waiting list of people, who wish to attend at our next available date (please help us fund our next initiative by donating here). Then it was the food. 99% of people here believe ‘vegan’ stands for raw, bland, not tasty, not filling. I knew I had to debunk this myth in the most obvious, most provocative way. Besides, the ‘Paleo’ and ‘low carb’ diets are still very popular among the population here, so I wanted to also show them carbs are not the enemy! This is why I picked a traditional dough pastry cake usually prepared with eggs, yogurt and feta cheese, and made an exceptionally delicious vegan version of it. Everyone was devouring this delicious salty cake with great appetite! Please share this page to help us fund our next event! When we collect 1000 shares, I’ll share the EXACT recipe and preparation instructions for this heavenly cake and the sweet one pictured! As well as a sweet, juicy cake with walnuts and coconut milk. They were both a win! Everyone loved the fact that all the food looked and felt home-made, and they started asking for the recipes as soon as they had a bite! Thankfully, we’d made enough and were re-filling the table! As they were tasting the food, we had a slideshow running on the big screen with famous vegan celebrities and athletes. We made sure to tell them all these people are plant-based! After they’d had a good taste of the food and they were more than satisfied with it, we started the event with a short intro speech. I wanted to make sure they know what we are about to show them is scientifically backed information rather than a conspiracy, and we will not want anything in return, but rather aim to get them to learn something new and important that will improve their health, save animals, and the environment. I picked What The Health, because of its engaging storyline and light educational approach, which is very suitable for an audience, who have possibly never considered going vegan. I was a bit worried whether they will watch it until the end, but WOW – the movie definitely grabbed their attention. Everyone was watching with great interest, and although it felt like they had enough of it at some point, the story managed to re-engage them to watch until the end. They were all extremely happy by the end of the screening, and ready to listen to us even more! 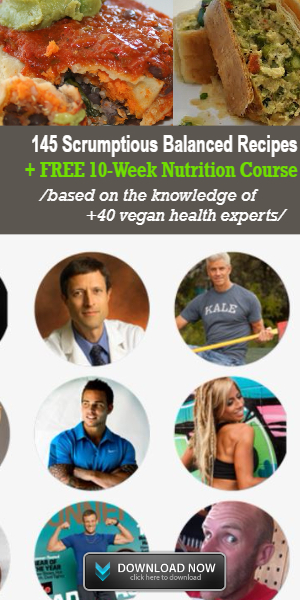 I figured that except for the great real-life stories they saw in the movie, it would be a great idea to give them my personal example as well, and I shared a few of the amazing health and weight-loss benefits I have been experiencing since I went fully vegan. I told them these high-carb sweets were there on purpose, demonstrating vegan food is rich, delicious, and it’s healthy if you are not clogging your arteries with animal fat! I also clarified that even through the movie was made for a US audience, all the information is 100% relevant for Bulgaria, too. They were all fascinated, got more of the food, and started coming to talk to me, ask questions, and thank me for an amazing night. MOST OF THEM asked me the name of the movie and where they could find it to show to relatives and friends! I was overwhelmed with happiness and content! I was expecting a few people to start doubting the information I had just presented to them, but nothing like that happened. I immediately sat down and created a short starter guide in Bulgarian, adapted to the local environment with a lot of recipes, cooking advice, and where to shop all the products they need at the best price, and I sent it to all, who attended the event. Most of them have been contacting me and begging me to announce the next date, so that they can recommend the experience to family and friends. All this is the ultimate proof we are making a difference here! We are converting people and providing education no one else does! We are also planning to follow up on all people, who have already attended a movie screening. We will keep helping them in their vegan journey with a series of lectures, workshops and events, focused: 1. On the ethical aspects of veganism. 2. Cooking workshops and advice. 3. Why all this is important for the environment. Furthermore, we are planning a huge leafleting event throughout the spring and summer months when millions of lambs are needlessly slaughtered for all types of occasions starting with Easter and ending with Christenings, weddings, and family gatherings. The above story is proof our activism is the much needed missing piece here, where millions can be saved with simple, honest actions! Enjoy more photos below and on our Bulgarian FB Page.